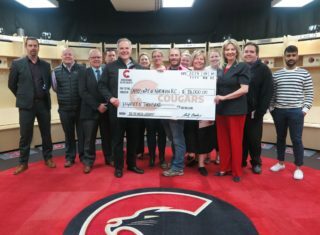 The Prince George Cougars Hockey Club announced Mark Lamb as the sixth General Manager in franchise history, Tuesday morning. The Cougars have signed the 53-year-old to a four-year contract. 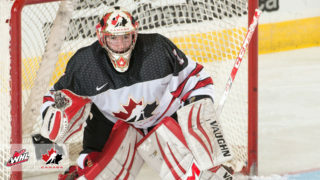 “Mark is someone who I’m quite familiar with and have a lot of respect for from playing under him in Edmonton. When going through this process, it was very clear how highly regarded he is in the hockey world and the reputation he has garnered,” commented Eric Brewer, shareholder EDGEPRo Sports & Entertainment. Lamb comes to Prince George with a hockey resume, which includes a Stanley Cup, and spans over three decades as a player and coach. After a 15-year playing career at the professional level, Lamb started his coaching career as an Assistant Coach with the Edmonton Oilers in 2001-2002. He then moved onto the Dallas Stars, spending six years (2002-2009) behind the bench as an Assistant Coach. “He brings years of experience in player development, coaching and management at both the junior level and at the pro level. In our conversations, it became quite clear Mark shared the same vision our ownership group has for this franchise going forward. By signing a multi-year contract, Mark has shown how committed he is to our organization and Prince George,” stated Brewer. Lamb was named the General Manager and Head Coach of the Swift Current Broncos in 2009, a position he held until 2016. 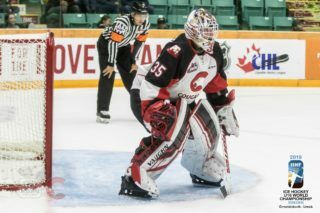 In 2015-16, the Broncos roster featured five players, including Glenn Gawdin and Tyler Steenbergen, that went on to win the Ed Chynoweth Cup this past season. He then spent one season (2016-17) as the Head Coach of the Tucson Roadrunners, the American Hockey League affiliate of the Arizona Coyotes. 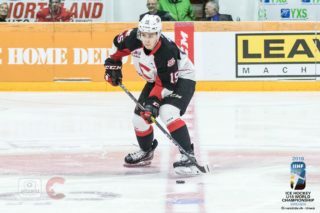 As a player, Lamb was known as a creative playmaker with a tenacious work ethic and those traits afforded him a lengthy playing career at the professional level. He played five seasons in the WHL in Billings, Nanaimo and Medicine Hat. He was drafted by the Calgary Flames, 72nd overall, in the 1982 NHL Draft, and made his NHL debut with the Flames in the 1985-86 season. He then went on to play 13 seasons and over 400 career regular season games in the NHL between Calgary, Detroit, Edmonton, Ottawa, Philadelphia and Montreal. Lamb won the 1990 Stanley Cup with the Oilers, after picking up 17 points in 22 playoff games. He also won the Turner Cup in the International Hockey League, with the Houston Aeros in 1999. The Cougars organization is thrilled to welcome Mark and his family to the organization and Prince George. 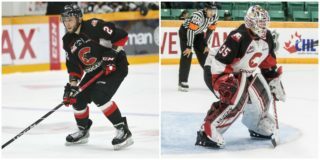 Follow the Cougars on Twitter (@PGCougars), Facebook (@PGCougars) and Instagram (@PGCougars) for breaking news and up-to-date information on the team.